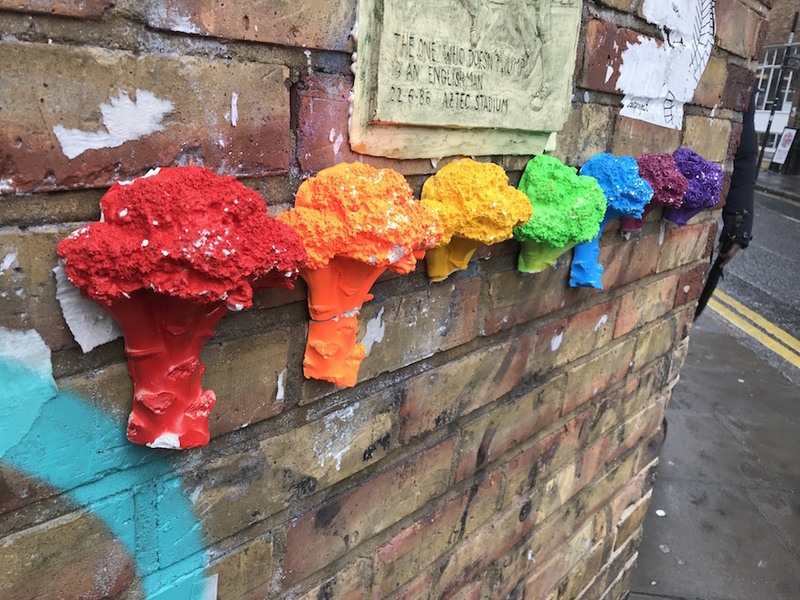 M@ What's With All The Rainbow Broccoli Around The Brick Lane Area? 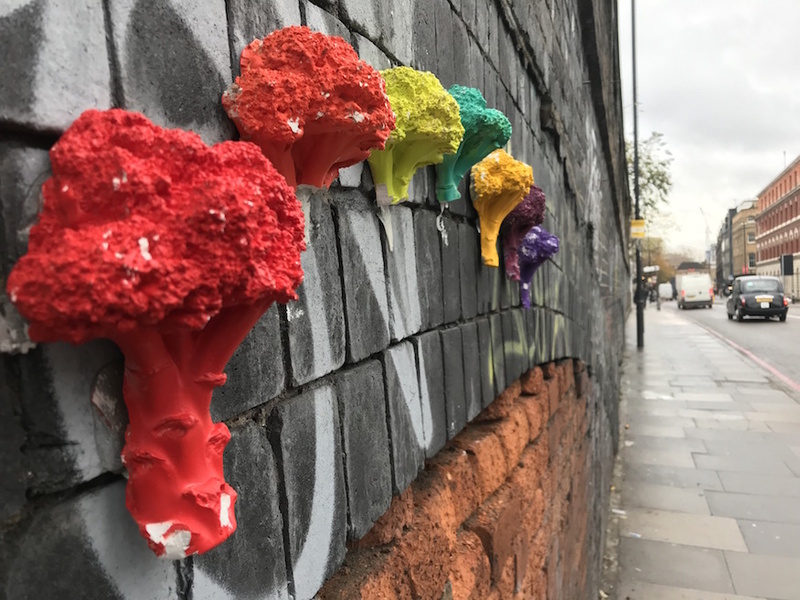 A rainbow of broccoli brightens up a wall on Hanbury Street. It's the most cheerful street art we've seen in a long while. 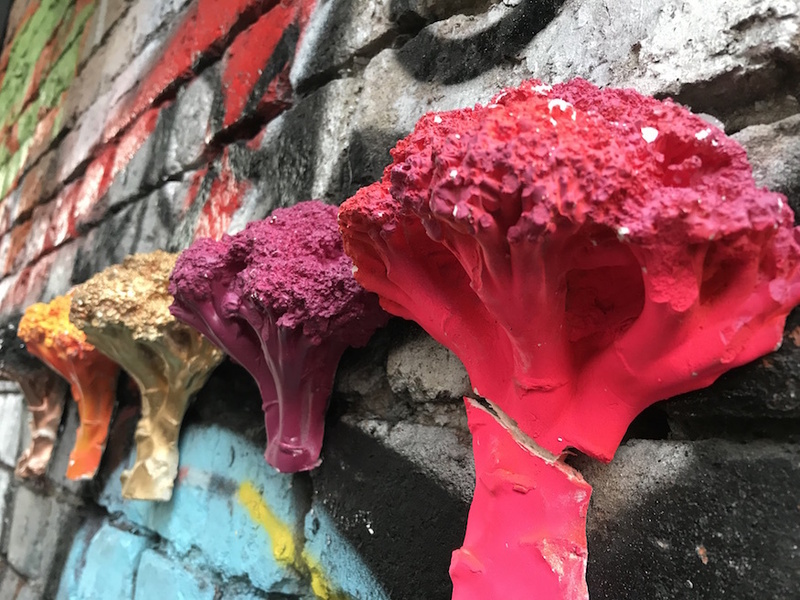 We turn the corner onto Brick Lane and find another gathering of polychromatic brassicas. Once you have an eye for the colourful vegetable, you'll find it on almost every corner. Who's behind this curious intervention? 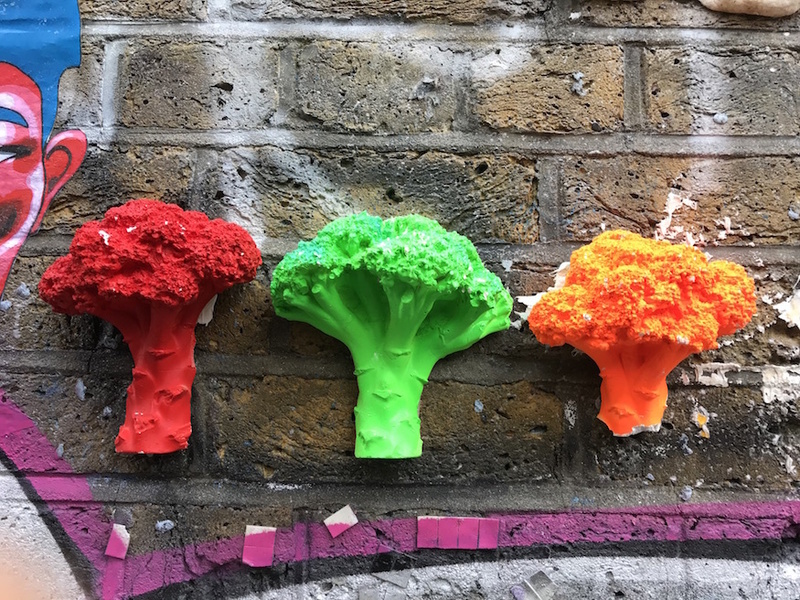 Boswell specialises in collage work, but his most prominent creations are surely the vibrant vegetables he's planted across this part of the East End. 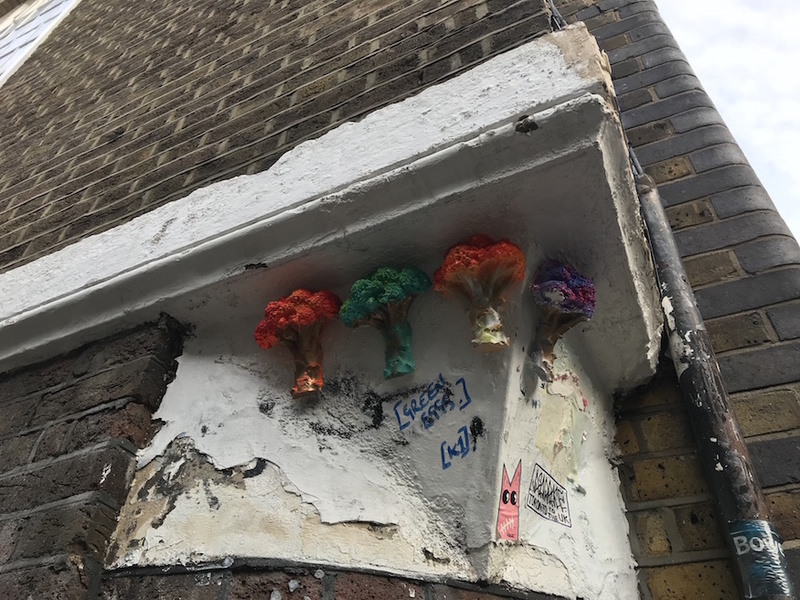 The curious street art first appeared in early 2017, when Boswell pinned up real broccoli in response to news items about a 'vegetable crisis'. They've since evolved into multicoloured affairs. 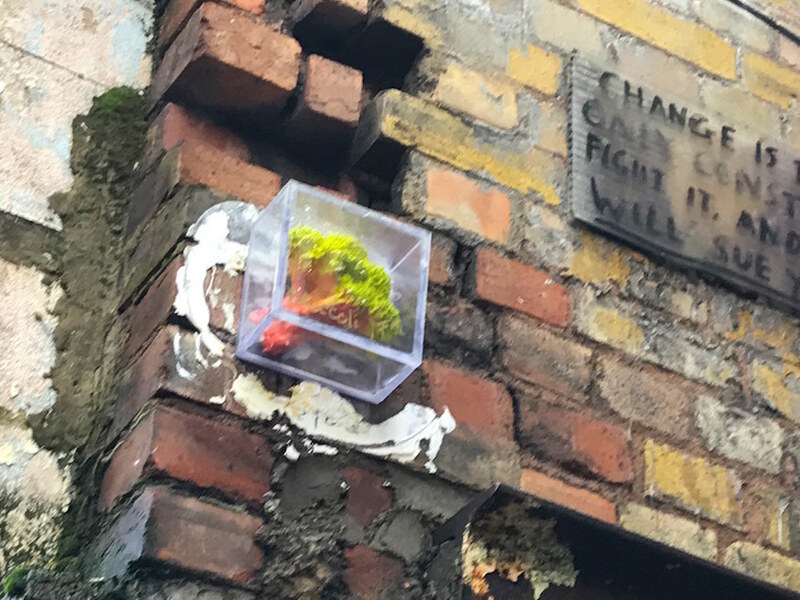 One form of the street art sees the grocery item encaged on a wall. 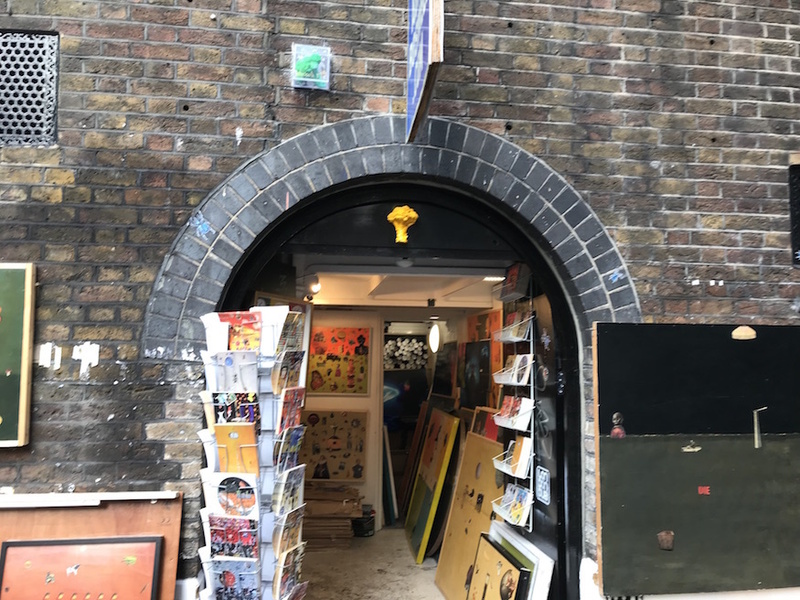 Boswell's work is readily spotted all over the Brick Lane area. It doesn't take long to complete your five-a-day.